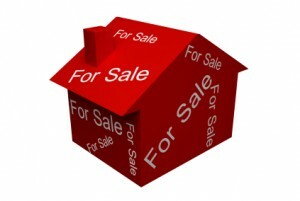 Rising property prices on the market! Since January 2014 house prices have been making the average annual inflation rate around 7% according to officials on Tuesday. The Office for National Statistics state house prices within the UK have soared to an average of £245,000 and the current demand for properties displayed by buyers is being fuelled by various Government schemes. These schemes assist borrowers as well as trying to boost confidence in the economy but never the less, there is still a shortage of properties for sale. During January the initial price of a property had been recorded at around 6.8% higher than recorded in the previous year and a 5.5% increase on December. London is known as one of the main reasons for today’s inflation on the property market and if property sales in the capital were abolished inflation would drop to the level of 3.8%. Average house prices soared to around £458,000 in London compared to the North-East of England where prices have been recorded around the £147,000 mark. "Unwavering demand from UK and overseas buyers is a key ingredient behind this rate of growth and prime London property continues to be a mecca for property investment”. The figures from the Office for National Statistics are based upon complete mortgages and have displayed that first time buyers have dramatically benefited from the schemes provided by the Government. One of many senior economic consultants at PwC, William Zimmern expected that prices would continue to grow during this year having estimated the average UK house price to then be around £264,000 near the end of 2014. Meanwhile, the average price of a property in London is expected to rise up to £500,000. The existing figures generated by the Office for National statistics had been based on Britain’s banks reporting that many approvals for house prices have risen by half a percent with each coming year. Furthermore, they stated that a mass increase on the amount of new build houses would need to be produced to enable them to meet the demands of potential property purchasers. Gross mortgage lending figures had increased by 47% each year approaching February 2014 leaving the amount at £11.5 billion according to the figures produced by British Bankers and this is said to be the highest level since August 2008. The Government have produced a report that suggested around 21,000 properties would need to be constructed during each year in order to keep prices affordable as well as trying to avoid another housing crisis. The Home British Federation described the losses as a “lost decade” as the falling number of properties had now been equal to the amount situated in Birmingham. Economist, Kate Barker had bordered various options concerning the property market and she has underlined that in order to keep existing prices in the hands of potential buyers, annual inflation would need to be kept down to 1.8%. This however, would require a large sum of 210,000 newly built properties to be constructed each year. A sum of 260,000 homes would also need to be built each year in order to improve the affordability of households.